Posted by stgeorgeoma in Armed Forces, Armed Services, Eastern Orthodox, Memorial, Military, Networking, News, Orthodox, Religion, Religious, Saints, SGOMA News, Uncategorized. Attention Orthodox service members in Afghanistan, their loved ones, friends, and supporters! Orthodox Chaplains, Fr. Jerome Cwiklinski and Fr. Christopher Moody will be provide Nativity and Epiphany services at various locations in Afghanistan. 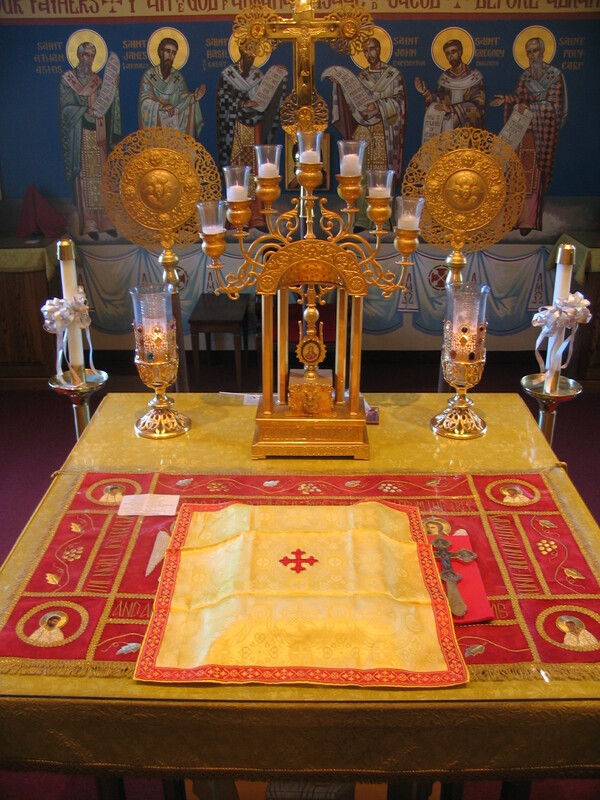 Please pass the word, so that anyone in need of the Orthodox sacraments and desirous to observe these feasts, may make arrangements through their unit chaplains. Orthodox personnel may request to be visited at their site, or request to travel to another site where these services will be offered. Start asking your unit Chaplain about Orthodox services. Fr. Jerome himself plans to go around twice, once for each of the Feasts, and on other days to make the Liturgy and Sacraments available, and just to have fellowship with fellow Orthodox service members. He would be honored to provide services on days other than Sunday. St. George Orthodox Military Association (SGOMA) was founded on October 20th, 2009, on the feast day of Holy Great Martyr Artemius (military saint). The SGOMA is a Pan-Orthodox group designed for the spiritual support, assistance, and growth of the Eastern Orthodox Christian men and women serving in the United States Armed Services around the World.